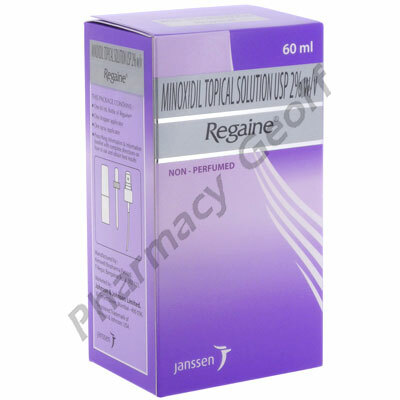 Regaine containing the active ingredient minoxidil is used for the treatment of hair loss in women. Some women may encounter hair loss starting gradually from the crown of the head, common after menopause. The medication can slow or stop hair loss and promote hair regrowth in patients with a family history of hair loss. Regaine is usually applied topically to dry hair and scalp twice per day or as directed by a doctor. Contact a doctor for the correct dosage and application method as it will depend on the patient�s condition and their response to the medication. It may take from 4 months to 1 year before the effects of the medication can be seen. Once the medication is stopped the regrown hair will usually disappear over a 3 to 4 month period.